An eternal Spring is the core of our Golden White AKA Sandy Beach interlocking pebble tile mosaics. These bright pebbles are amongst our most popular tiles and can lift the tone of a room from dull to irrepressibly sunny. 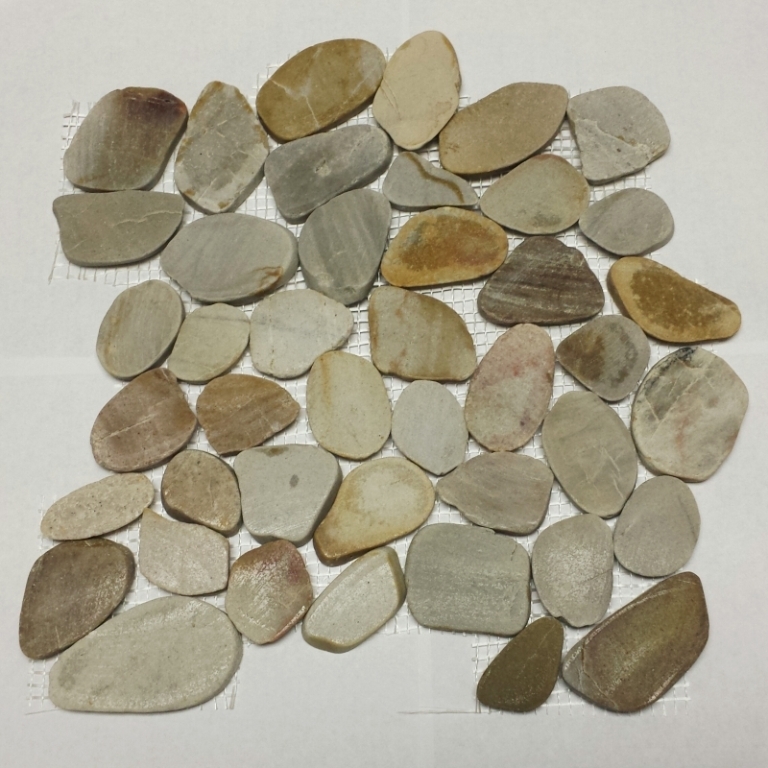 The flatness of these stones make them ideal for adding a subdued natural look. make sure you have a great installer to install pebbles. not every tile installer knows pebble installation.